A new report shows there are some unique measures producers can take to reduce foodborne diseases. When we purchase meat and poultry at the grocery store or our local farmer's market, we hope it's safe to consume. But the statistics of unsafe foods can seem pretty alarming: contaminated meat and poultry cause some two million illnesses—accounting for 40 percent of all bacterial foodborne diseases—in the U.S. each year. But as a new report by the Pew Charitable Trusts reveals, there's a lot farmers and government can do to help. And that's a very good thing: in a decade—the period between 2005 and 2015—about 207 million pounds of meat and poultry was recalled in the U.S. due to salmonella, listeria, or E. coli contamination. Of course, as Pew notes, that's a very small fraction of the nation's meat supply, but half of all meat recalls are because of potential contamination of these bacteria. So, in its new report, released this month, Pew Charitable Trusts asks industry insiders and government officials to take some steps to stop such widespread bacterial contamination. Its suggestions hinge on measures that should be taken pre-harvest, as most safeguards are in place during and after harvest—and those steps, while somewhat effective, are not getting the whole job done, Pew notes. Pre-harvest measures would take place during the breeding process, as well as have a focus on feed safety, biosecurity, and pathogen surveillance, the report says. Pew Charitable Trusts developed its recommendations after studying data from previous research as well farming programs that already implement pre-harvest strategies to reduce contamination. One unique (sounding) suggestion? 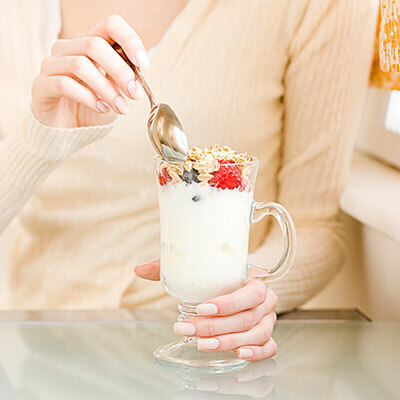 Pew says that adding probiotics—digestive aids we can get by taking pills or eating products such as yogurt—to animals' diets. Pew says that when it comes to chicken, "pre- and probiotics are highly promising interventions—in particular when added to the feed—and their efficacy is not limited to specific serotypes." With more research, adding pre- and probiotics to feed could reduce the need for vaccinations, a move many Americans would welcome, as more consumers opt for antibiotic-free meat options. Of course, Pew also suggests that funding be expanded to support pre-harvest initiatives, a move government agencies would have to make, and calls for additional research. If you want to read all of the center's recommendations, you can view the 97-page report here.